Deciding how much money you’ll need in retirement is generally a pretty personal question. The actual amount will depend on a great number of variables; most important of which will be your living expenses. Regardless, you may find it helpful (and interesting) to know what the average retirement income for other people is so you can gauge how practical your needs really are. 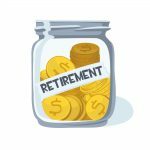 Since retirement income can come from a variety of sources, let’s first identify the most likely places where a retiree would receive money and then try to quantify what the total number would be. Your Nest Egg. Without a doubt, most people these days are encouraged to save for retirement all on their own. 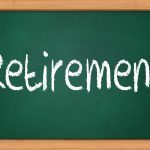 Pensions unfortunately are thing of the past for most of the American population and they have been increasingly phased out since the 1990’s. 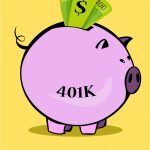 That leaves retirement savings vehicles like the 401k and IRA left for individuals to use to build up their accounts. According to the AARP and trending data from Fidelity, the average retirement balance of folks 55 and over using these types of accounts is approximately $255,000. If we use the safe withdrawal rate of 4% as a starting point for determining how much money we can confidently take out of our nest egg each year, that would only give us an annual income of $10,200 or $850 per month. Social Security. Despite all of its criticism, most Americans still rely heavily (if not solely) on Social Security for retirement income. That may change as Social Security continues to run out of funding. But for now, let’s assume that you’re at least 62 years old and are eligible to receive Social Security benefits. 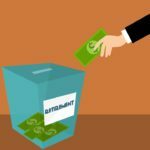 According to the Social Security Administration, their average retirement income payout was approximately $1,290 per month. 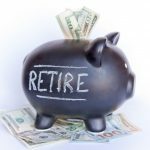 Unfortunately for most Americans, we could reasonably assume that these are just about the only two sources of income for most American retirees. 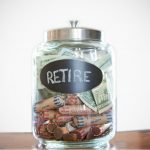 Though some people may be lucky enough to receive a pension, annuity, or have some sort of investment income, I fear these extra contributions of income would not be characteristic of the majority population. So if we just isolate the two sources above, that gives us $850 + $1,290 = $2,140 per month total. Would that be enough for you live on? Do you want to settle for average? How Can Someone Live Off of This Amount? 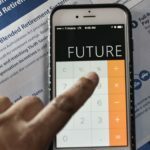 Although this may not sound like enough retirement savings to generate a proper amount of money to cover your living costs, you have to consider that in retirement things are usually a little different when it comes to expenses. For example: By the time most people make it to retirement, they generally have their largest expenses such as their mortgage or cars completely paid off. Also since they are no longer working they don’t have all the expenses of driving to work, eating out, buying a professional wardrobe, and everything else that goes along with it. Even still, a lot of retirees find themselves needing just a few more dollars extra than what they’re receiving. That’s why a lot of them end up going back to work part-time. 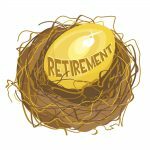 The additional money helps them to cover their living expenses as well as ease the need to withdraw too much from their retirement nest egg. 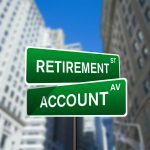 How Can I Retire With a Greater Than the Average Income? Start saving as early as possible. The earlier you start saving the longer you give compound interest to work its magic. Even if you just invest in something simple like a stock market index fund, there is still a highly likelihood that over time you’ll make an average of 8% per year. Save as much as possible. 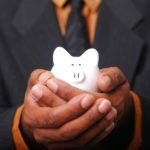 One of the best things you can do in combination with saving early is to save as much money as possible. The 2014 401k/403b annual contribution limit is $17500 with a catch-up of $5500 if you are 50 or older. The more you save the more capital you have working to build up as time passes. Don’t forget about the IRA. Think bigger than your employer-sponsored retirement plan. 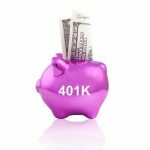 An IRA allows you a lot more flexibility than a 401k plan in terms of what you can invest in and how much access you have to your money. Plus it gives you another tax-sheltered method for saving and investing for retirement. 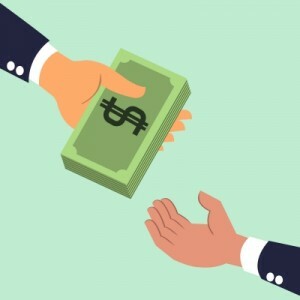 Find some smart passive income streams. Your retirement income doesn’t have to only come from money you saved. It could also come from other assets you own that would supply a steady stream of reliable payments. Look at what it would take to own things like dividend stocks or rental properties so that you can exceed the average retirement income when it comes to your peers.